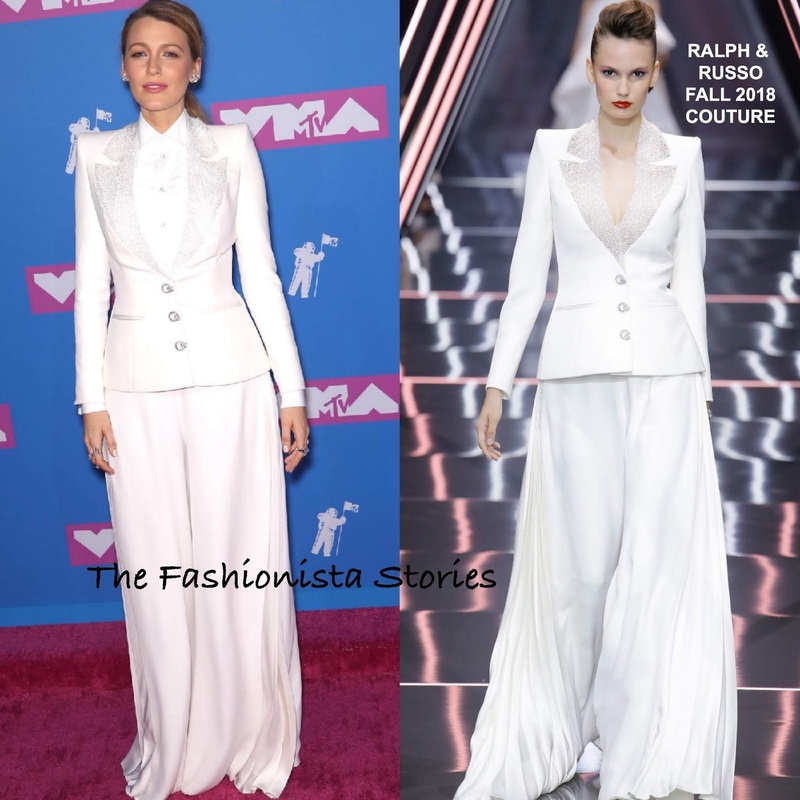 Following her previous outings, Blake Lively presented this evening(August 20th) at the 2018 MTV Video Music Awards at the Radio City Music Hall in New York. Blake has been wearing a lot of suits for her promo tour which is most likely an ode to her character in 'A Simple Favor'. So the fact that she is wearing this RALPH & RUSSO FALL 2018 COUTURE white suit tonight is no surprise. I really like this wide-leg suit and I actually don't mind that the pants are sweeping the floor but it could have been shorten a bit. However I wish that she left the white shirt out and wore it as presented on the runway. It would have added a sultry vibe to her look which would have made it less serious for this awards show. What do you think of Blake's look?